A right wing extremist who threatened to blow up the Express & Star has today been jailed for eight months. The warning was among a string of postings made on Facebook by Darren Fletcher that broke the terms of Criminal Anti Social Behaviour Order imposed on him along with a 12-month prison term in January last year for trying to stir-up racial hatred, a judge heard. In those days he was called Christopher Phillips but tried to hide his identity by later changing his name by deed poll and using the handle of Whitest Knight to put extremist comments on the internet after his release from jail, Wolverhampton Crown Court was told. On November 4 he posted a comment on a Facebook page supporting another man jailed for airing anti-Semitic views. In other postings on the same site he poured out his hatred for the police and the current state of Britain, the court heard. He said he hoped the country came ‘crashing to its knees’ and expressed a wish that the terrorist organisation ISIS ‘bombed the **** out of the police’. The 25-year-old was arrested by counter terrorism officers in a swoop on his home in Kitchen Lane, Wednesfield, on November 13, said Mr Robert Price, prosecuting. Analysis of the defendant’s mobile phone and laptop computer confirmed that he had been the person who posted the offensive Facebook comments while posing as Whitest Knight, the court was told. Mr Nicholas Towers, defending, said the law breaking comments had been made on a Facebook page supported by people with similar right wing views to those of Fletcher. Fletcher, who suffers from autism and whose father committed suicide, was said to have recently attempted to take his own life. Fletcher was originally jailed in January last year after posting a YouTube video showing him dressed as a Klu Klux Klansman while dancing holding a golliwog hanging from a noose. 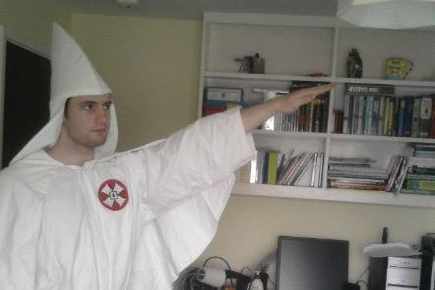 A KKK outfit, National Front membership card, White Pride Worldwide flag and a copy of a letter to a German acquaintance of mass murderer Anders Behring Breivik were uncovered by police during an earlier raid on his home linked to the offence that put him in jail. Mr Towers argued that the defendant needed help to ‘move off his current obsession with racism and to something more productive’. The lawyer suggested that a prison sentence would simply serve to harden those far right beliefs. Forklift truck driver Fletcher, whose partner is 18 weeks pregnant, admitted breaking the terms of his Criminal Anti Social Behaviour Order and was put back behind bars by Judge John Warner who told him: “You deliberately, defiantly and flagrantly defied the order and if I do not send you to prison it would act as a green light for you to carry on in the same way. “You knew exactly what you were doing and realised you were likely to go to prison as a result. “No doubt, you hope to be regarded as a martyr to your cause, but this punishment has nothing to do with preventing you from holding extremist view. 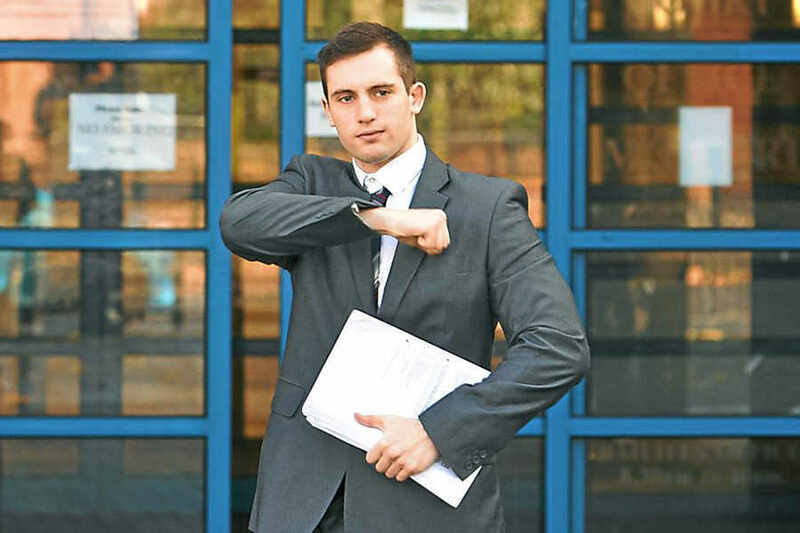 After sentencing, Detective Chief Supt Sue Southern, head of West Midlands CTU, said: “Fletcher blatantly flouted the conditions the court imposed on him by posting racist and anti-Semitic comments. “We understand how offensive and distressing this type of behaviour can be and worked to bring him before the courts for a second time.